When Richard Dawkins was casting around for a title for his great work on a “genes-eye view” of evolution, he settled on The Selfish Gene. The adjective “selfish” is here serving to suggest a metaphor, and it is one with some traction on the truth, so it functioned well as a title. Unfortunately, as I think Dawkins himself has admitted, the metaphor has taken on a life of its own and has been widely misused. Obviously no one thinks that inanimate molecules such as genes can be either selfish or selfless; the purpose of the phrase was, I judge, to express, in a brief, powerful phrase, the following idea. The bodily structures, and many of the characteristic behaviours, of individual plants and animals are largely inherited through passing on individual molecules, the D.N.A., from one generation to another. Self-contained units of D.N.A., called genes, do specific jobs (cause specific proteins to be constructed in the cell). Because each generation can, and usually does, produce more than one or two offspring, in principle there is the potential for exponential growth in numbers, so many copies of the genes will be generated. During the process, small changes result in many different types of genes being tried out. Now, if you did not think it through carefully, you might imagine that after this has been going on for a long while, through many generations, the genes you will find in any given organism are the ones that promote the health and reproductive success of that very organism. You would be right up to a point, but, in an important sense, you would be wrong, and this is what the phrase “the selfish gene” is getting at. You would be wrong because the following logic is inexorable: the genes which tend to proliferate are the ones which confer structure or behaviour which result in the proliferation of those same genes. That is all the genes “care about”. Your genes are not your friends; they are entirely oblivious to you, as a being, and “care” only about themselves. (Obviously I am lapsing into colourful analogies here, in order to get across the flavour of the idea). If health and happiness for the host organism result in transmission of that organism’s genes to many healthy offspring, then health and happiness is what those genes will tend to confer. Equally, if pain and trouble for the host will, on average, result in behaviour that transmits the genes, then that is what the genes will tend to confer. It is just a question of mathematics and probability. This use of words like “host” presents a genes-eye view of things, and it confers much insight into what is going on in the natural world, including in human behaviour. But it also carries the risk of becoming misleading if it is mistaken for the only view that merits attention. In fact genetics does not determine behaviour completely; the “nature verses nurture” question comes out as a roughly 50:50 split in many of the areas we care about. No individual entity in the natural world, whether a piece of D.N.A., or a complete living organism, or even a larger group such as a species, can dictate its own future. All are entirely dependent on their wider environment. Coming back now to the phrase “selfish gene”, the problem with it is that it is too loaded, because in human beings selfishness is a moral issue. Another problem is the assumption, widely made, that the plants and animals expressing these “selfish genes” must themselves therefore be “selfish”, and that the whole scheme of nature is a huge scheme for the promotion of selfishness. I would like to offer another phrase which I think does a better job of capturing what the genetic basis of evolution is about. The phrase is: the eager gene. “Eagerness” is a better term than selfishness partly because it is less loaded; eagerness is not a moral issue in humans. Eagerness is innocent. The phrase remains a metaphor or analogy, of course. Molecules are not really eager. But the fact that genes confer structure and behaviour which simply promotes those same genes, without regard to higher-level issues such as the interests of other organisms, is reminiscent of the eagerness expressed by young children when they are not yet able to process the complex issues that morality involves—the issues that make adults hold back as they consider other people’s interests alongside their own. The youngsters say “pick me! 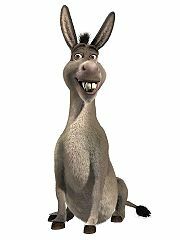 pick me!” like Donkey; and that is roughly what genes do. “Eagerness” also better captures the wider picture of what many of us feel is on view in the natural world. What we see is “Wonderful Life”, to quote the phrase adopted by Stephen Jay Gould for the main title of his book on the Burgess shale and the nature of history (I don’t intend by this to agree with the main thesis of that book, but I like the positive title). Plants and animals are, mostly, eager for life, for a chance to be themselves. They do this largely without, it is true, any qualms about the trouble they cause for others, and when they do take trouble for others, it is broadly in proportion to the degree to which they have genes in common. Nevertheless, even after taking this into account, I think that the overall result has not been the promotion of selfishness, and it is wrongly coloured by the unfortunate phrase “the selfish gene”. What has gone on in biological history, and continues in the world today, is a sort of restless energy, a never-ending trial and error which buds, and buds, and buds again into forms of life that in turn make possible other forms of life, all within the constraints of, and shaped by, mathematics, physics, chemistry, geology, geography and astrophysics. What has resulted is, in my opinion, wonderful and I would also call it beautiful. It is instructive to pause to think about why, in spite of the apparent neutrality of the mechanisms, something beautiful has resulted (not always and everywhere beautiful, but beautiful overall, and worthy of our conservation efforts). It is partly, I think, owing to the fact that biological forms mirror or body-forth mathematical patterns, with their innate symmetries, and the natural world is deeply ingrained with this type of mathematical beauty. But that will have to be the subject of another post. blog contains amazing and really fine data in support of visitors. I’ve been trained as a scientist, of course I also believe that believing science is much much better than nonsense. What I tried to say was that if scientists often consider them[selves] to be elites and everyone should just believe in science, it doesn’t help the development of science education actually. I think society actually needs more rational discussions on most issues. In many cases, scientists should also learn the sources of lay people getting incorrect information in order to understand what the real problems are and then have a better way to deliver correct information to the public.